I loved this book and didn't put it down once I had started reading. When I started reading, I was furious when I read about Eden's cheating fiancé and then, to top it all off, this husband...well. "Spitting mad" might also be a fitting description. What I really loved about this book though, was the way the characters interacted. Sure, there was a typical misunderstanding resulting in people hating others but once it became clear that it had been a misunderstanding, everything was alright. No maybes about it, just simple acceptance and things were alright. And I loved that both, the heroine and the hero had moved on. They had been very much in love, still are, obviously but it is a mature love now and it was one even when they were still young and life happened and drew them apart. Somehow this makes you realize even more, how much those two belong together. Oookay, right, maybe you don't realize that right at the beginning because there might be a time or two when there are some rather interesting decorations on the lawn and the drive but, well, nobody said that love was perfect, right? Some, let's say minor disagreements and such are totally in order when so much time has passed and things happened and - well. I really enjoyed this story with its wonderful and complex characters. 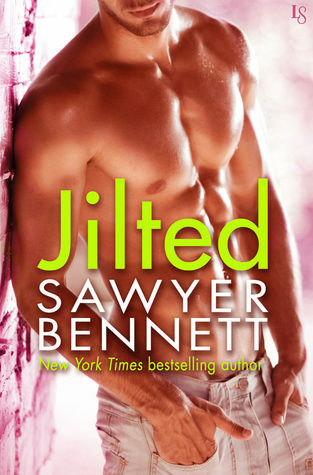 I already read many books by Sawyer Bennett and I must admit that I didn't even read the blurb, I just knew that I wanted to read this book - and I wasn't disappointed. This is another wonderful story by an amazing author that I can definitely recommend.